Join us and be a part of the 2020 San Francisco Writers Conference! San Francisco Writers Foundation/San Francisco Writers Conference is a 501(c)3 nonprofit organizatino. We welcome your support to help us produce not only this world-class writing event who provides services to writers throughout the year. Here is Smashwords Marketing Director Jim Azevedo with Pulitzer Prize-winning journalist and author Jose Antonio Vargas. Jim suggested Jose as a keynoter for the 2019 SFWC, then made the introduction that secured him. Thanks Jim! 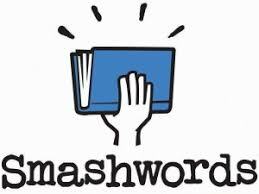 Smashwords is a longtime sponsor of the SFWC and provides participant badges, too! BookBaby sponsored for the second time this year. Thank you! PublishDrive is a first-year sponsor. Welcome! Bublish is a first-year sponsor. Welcome! Draft2Digital is a first-year sponsor. Welcome! Writer’s Digest is a longtime sponsor who sponsored Speed Dating with Agents. Thank you! BetaBooks came back to exhibit their technology for critique partners and beta readers. Thanks again! BookShop West Portal provides our onsite bookstore. Thanks for the continued support! Take BART. It really is more fun, less traffic, and easier on your wallet. The Mechanic’s Institute Library is our writer-education partner all year round. Thank you!